A whole lot less stand-offish and enigmatic for this Tiny Desk set, as she should be, H.E.R. treats the intimate gathering of souls to warm blend of R&B and Soul, peppered with moments of Hip-Hop adjacent styled delivery. Enjoy! You know that thing you didn’t even realize you were waiting for? Well, here it is. Wu-Tang! WU-TAAAANG!! And their Tiny Desk Concert ain’t nothing to f**k wit’! Enjoy. Big Boi comes down from The Planet Of Stankonia to do a Tiny Desk Concert… ON IT! This the loudest I have ever heard a Tiny Desk Concert be. Dope! A Tuxedo Tiny Desk Concert? Best ticket you didn’t even have to purchase. Check it out! When Tuxedo arrived at NPR and Mayer Hawthorne spied a small ‘Ho!’ button sitting on Bob Boilen’s desk, he immediately beamed. “We use a big ‘Ho!’ button on tour,” he said. They didn’t bring a drummer, opting for a boombox — yes, a real boombox playing a real cassette tape, kids — and it was nostalgic delight from the start of the cassette’s hiss. The band was tight as ever, while their ace in the hole, Gavin Turek provided dance moves and the sweetest harmonies. Tuxedo set things off with a fan favorite from their first album, along with two [more] before closing it out with a red light special. It’s one thing to go against the grain for the sake of it — and another completely make it good. In this Tiny Desk concert, Tuxedo accomplished both. Not like they don’t belong on this forum. They do. Just did not expect to see them featured in their own Tiny Desk Concert. Very glad Smif-N-Wessun are though! Brooklyn-bred Hip-Hop duo Smif-N-Wessun – consisting of partners in rhyme, Steele and Tek – illuminated the Tiny Desk with their signature, 80-proof poetry: straight, no chaser. Their music, inspired by their gritty and pre-gentrified Bedford-Stuyvesant and Brownsville neighborhoods, offers the vocabulary of veterans who survived the grimy streets. These original members of the Duck Down Records group Boot Camp Clik represent quintessential ’90s true-school Hip-Hop from the bedrock, when Timberland boots were standard issue. Backing Steele and Tek for the first time is D.C.’s own Black Alley band. One more time for Mac Miller man. 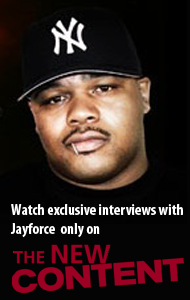 RIP to the young emcee we will sorely miss. He did leave us with a dope Tiny Desk Concert. Small comfort, but good stuff nonetheless. Got Thundercat in there, too. Nice! Robert Glasper did mention Erykah Badu in that last scorcher interview he did. Fellow Texan. And she is well beyond worthy on ‘honorable mention.’ See her Tiny Desk Concert performance for a reminder if you need one; or even if you don’t! Erykah Badu is an artist for the ages. To old-school jazz fans like myself, names like Nina Simone, Betty Carter and Shirley Horn come to mind as much as Billie Holiday because of Badu’s singular approach to a lyric. They all cut their own creative path and left behind a legacy that you can identify with just one note. Erykah Badu is on that same path, and one day her name will be mentioned along with the other Elders who share her spirit of musical adventure. Has there ever been a behind-the-scenes type video put out for a Tiny Desk Concert? Well, there’s at least one now. Leave it to Tip Harris to do it big AND do it differently! Should be good. T.I. rehearses for upcoming NPR Music Tiny Desk Concert performance at Crossover Studios with students from the Atlanta Music Project. That’s right. The G.O.D.M.C. Rakim Allah (and a full band) came through the intimate venue and gave a Tiny Desk Concert… to the world! And if you look close enough at the band, you might recognize some heavy hitters in there, too. Pure dopeness! Can’t help but love the music. Can’t help but root for the singer. Well, here he is with an NPR Tiny Desk Concert. Khalid is here (above), so wait no longer… click that play button and reward your soul with music from a young spirit. Khalid’s music narrates life’s awkwardly necessary moments: the butterflies of young love, the angst of craving freedom, the apprehension of teetering on that next step in life. 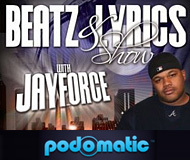 He creates honest, comforting pop for teens and young adults that speaks to the kid in all of us. Accompanied only by acoustic guitarist Jef Villaluna, the 20-year-old sensation captured this fleeting fearlessness of youth and brought it to the Tiny Desk for a heartfelt serenade session. The way his voice glided calmly over the guitar notes, switching between baritone and tenor, was fitting given that he sings about teenage peaks and pitfalls. Khalid’s sense of wide-eyed yet humble wonder permeates through the entire set. Just got that “Got Friends” joint from GoldLink posted and here he goes with the Tiny Desk Concert. Not mad. Actually saluting the grind mode of bro. Do you, sir. Jorja Smith brought her groovy voice and those ‘soothy’ eyes to the set. To an intimate set, for an NPR Tiny Desk Concert, just for you (you and you). Lucky you… thanks to us… you’re welcome! Maaan! Good soulful music and performance to get you going, keep you going, or enjoy the day’s end when you’ve been going all day. Daniel Caesar and the band got you on NPR with the Tiny Desk Concert on this ep. Daniel Caesar and his band had a clear vision for their Tiny Desk performance. While already confined to a small space, they opted to congregate at the piano, where producer and music director Matthew Burnett sat to create what feels like a fly-on-the-wall moment. We’re presented a purity that’s nearly impossible to capture on an album. Hold up. GZA did a Tiny Desk Concert, and you think there is even a slight chance that we don’t post it immediately if not sooner?? HA! When exactly did you forget what we were all about over here? The Wu emcee got it in with The Soul Rebels (outta New Orleans) and did dope business on the set! Watch up. Sure the warning says “explicit language” but NPR, could we please get “explicit DOPENESS” added to that warning? Because heads from the 90s already know and will appreciate, and cosign to the younger squires… and it’ll let the SUCKAZ know that “Time’s Up” for the wackness. Don’t know what’s wrong with your soul if this set from the Golden Era great doesn’t rock you. The B-I-G-D-A-D-D-Y-K-A-N-E in concert… a Tiny Desk Concert at that! 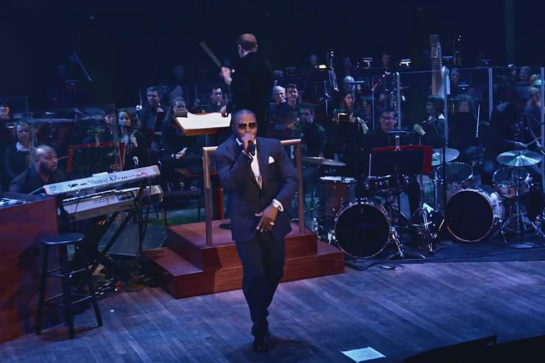 That “Nas: Live From The Kennedy Center” will be on PBS before you know it. You saw the trailer on here (link). Well here’s an NPR interview regarding that with the G.O.D.M.C. Yep. We are living in a time when NPR is repping the realest real music. G.O.O.D. 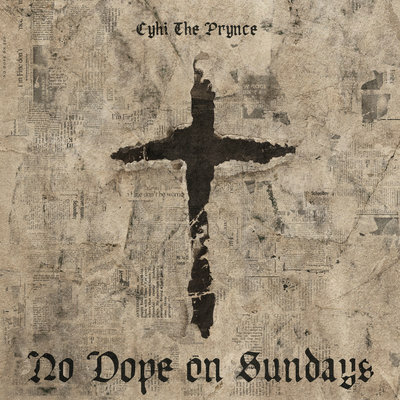 Music in this case, as CyHi’s forthcoming “No Dope On Sundays” LP is the focus of this “First Listen” ep. And they are FEELING the words of The Prynce over there. CyHi The Prynce brings Jesus to the trap and spits a testimony full of raw human contradiction. Ahhh, that explains the preacher’s collar CyHi’s been rocking lately. Being from Alabama, growing up in Tuskegee (and in the shadow of Montgomery and Selma), with Civil Rights figures (Dr. Bernard LaFayette, Attorney Fred Gray, Rosa Parks, Dr. Charles Gomillion) as neighbors, this story hits home… hard! Not even going to hit y’all with a ‘VOTE DAMMIT’ rant today. Just watch, and maybe stop taking our ‘privileges’ for granted. Folks had to FIGHT for our rights; and even then, others tried to keep us from exercising them. When Theresa Burroughs came of voting age in Alabama during the Jim Crow era, she was determined to cast her ballot — but she had a long fight ahead of her.